I hope they keep making 200 Elo improvements. It will just be Leela from now on with others losing interest in hand-tuned engines. Other NN-engines won't pop up because training requires too many resources for a single or few people. This is the end of computer chess. The same thing that happened with computer draughts (10x10) when the top 2 engines started drawing literally every game with long TC. Except this time it will be a lone wolf at the top of the food chain. People will lose interest in fishtest and it will stagnate. Houdart has stopped updated Houdini a long while ago. Booot and Xiphos are irrelevant. Laser only stands a chance if we extend to time control to 40 moves in 24 hours. Then again, Leela isn't the only one to blame. Open-source Stockfish already killed competitiveness and commercial interest. Leela just killed the rest of it too. Why so pessimistic? 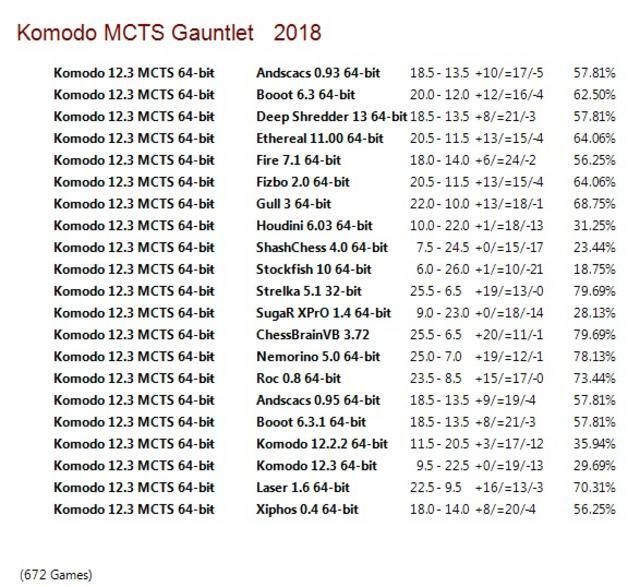 Komodo MCTS continues to progress. Lc0 shows that the future is with GPUs, but the possibilities for utilizing them are endless. I think we are just starting on a very interesting period in computer chess. Now the draw problem is another matter; chess is too drawish under current rules, this is not specifically a computer chess problem. But there are many solutions to it, including the TCEC solution of selecting unbalanced openings. If the opening positions are chosen right on the win/draw line, half of the games will be decisive as long as chess has not been solved. 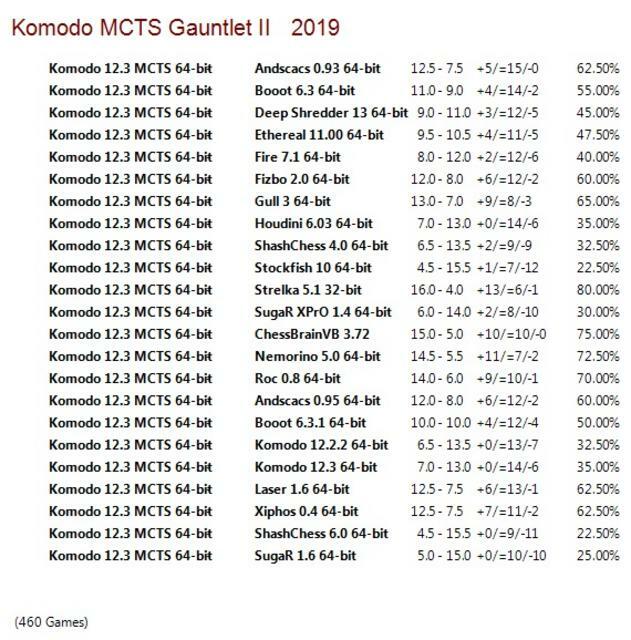 Another simple solution is to give White double (or triple...) time, whatever is needed to bring the percentage of games ending in White wins close to 50%. I cycle my clozapine with shrooms and marijuana.